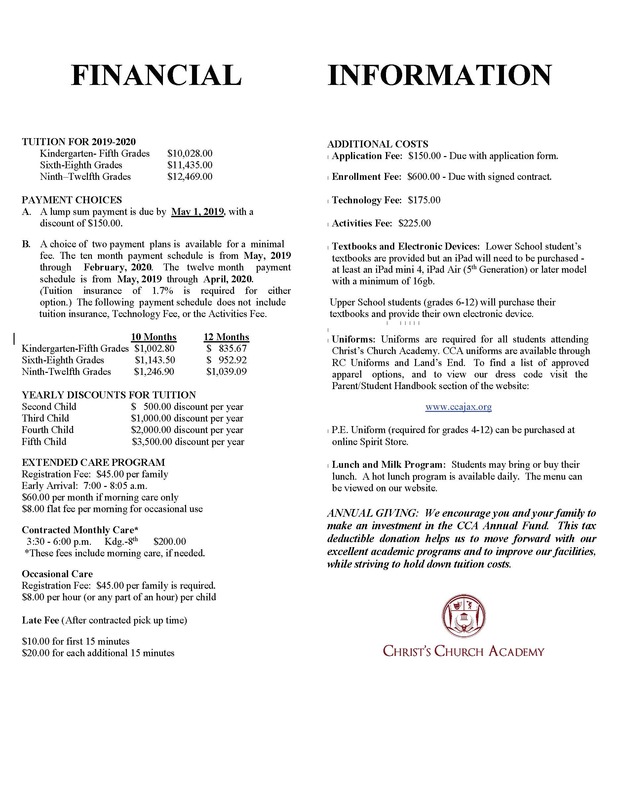 Christ's Church Academy offers a tuition fund program for K-12 student families who demonstrate and qualify for need as determined by FACTS Grant and Aid Assessment, a third-party organization. The CCA Tuition Fund program bridges the gap between tuition and what a family can reasonably afford. The assistance, intended as a supplement to a family’s resources, is available to all families based on financial need, and will be allocated from the tuition assistance budget. If interested, please visit Facts Tuition Aid website to fill out the online financial aid application. If you have any questions regarding the CCA Tuition Fund program, please our Admissions Department.